"John Person is one of the few rare talents that are uniquely qualified to help traders understand the process of successful trading. With today's markets becoming increasingly challenging, John has cut right into the essentials and brought forward the much-needed tools of forex trading. This clear and well-organized publication is a major step forward in helping traders gain an edge. I would highly recommend Forex Conquered as a valuable handbook for both aspiring and experienced traders alike." "Forex Conquered is a bold title, but this book delivers the tools needed for successful forex trading. There is no fluff here, just the wisdom of a trading veteran that I have always respected-and followed." "This is a wonderful, in-depth view into the explanation of technical analysis and prudent money management guidelines in the forex market." 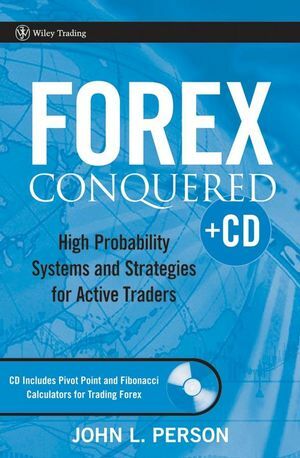 "Forex Conquered is a meaningful contribution to the growing number of books on forex trading. John Person provides a professional view of forex trading that readers will be able to use as a guide for strategies and tactics that work. 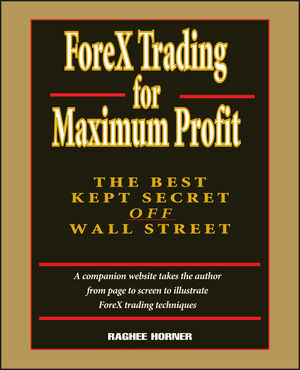 The scope of the book covers more than forex and includes salient aspects of futures and option trading. It should be read and then re-read!" John L. Person, CTA, is President of Nationalfutures.com, a professional advisory service, and President of J&B Capital Management. In 1998, he developed his own proprietary trading system and began publishing the Bottom-Line Financial and Futures Newsletter, a weekly commodity publication that incorporates fundamental developments as well as technical analysis that includes the data from his trading system, using pivot points combined with candlesticks. Person has appeared regularly on CNBC and is widely quoted by Reuters and MarketWatch from Dow Jones. He has also written many articles for major investment magazines, and is the author of A Complete Guide to Technical Trading Tactics and Candlestick and Pivot Point Trading Triggers (both published by Wiley).